This sentence is usually spoken in the same self-deprecating inflection as “I’m just a homemaker” or “I’ve never been to seminary” or “Who am I that I should go to Pharaoh . . .” (Moses in Exod 3:11). It is an age-old habit, endemic to the human condition— if we don’t have a socially sanctioned role, or a professionally certified position, or a recognized position in a family or community hierarchy, we feel inadequate and apologetic. At a retreat center in the Texas Hill Country, that “laity myth” is, week after week and year after year, exposed as the lie that it is. It only takes a few hours at Laity Lodge for the term to get scrubbed of every and any hint of condescension. “Laity” is restored to its gospel vigor. “Laity” is a term of dignity that Christian men and women are bold to carry with them into workplace and marketplace, home, and church without deference, without apology. 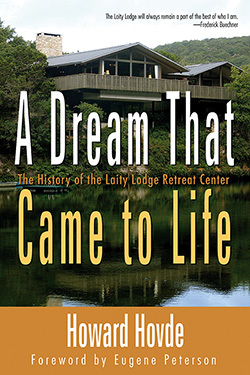 Howard Hovde, Executive Director Emeritus of the Laity Lodge Retreat Center, gives us a detailed account of the history of Laity Lodge and how its ministry continues to transform the lives of its visitors today. Born in Fort Atkinson, Wisconsin, Hovde served in the United States Navy. He attended Baylor University, Southern Baptist Theological Seminary, Columbia University, and the Shamlem Institute for Spiritual Formation. He served as the Director of the Laity Lodge Retreat Center for 18 years and has pastored churches throughout the country. He is the author of two books, The Neo-Married and Into a Larger World. He is married to Carole and they have two children and three grandchildren. He enjoys golfing, mentoring, and facilitating retreats at the Laity Lodge. Hovde intersperses philosophy, organization and history with interesting stories of people who influenced the direction of Laity Lodge. For good measure, he adds heart stories of those influenced by the center, including author Madeleine L’Engle (A Wrinkle in Time) and The Message translator Eugene Peterson, who wrote while staying at Laity Lodge. 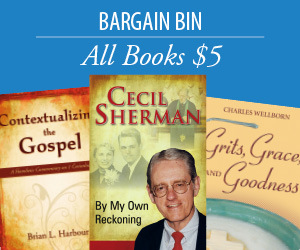 A valuable appendix, including leadership tips, poems and a list of significant books, completes the work. Inspiring stories turn what could be a dry history into a quick read. On my first visit to Laity Lodge, when I was told not to turn left at the Frio River but in the Frio, I knew I had reached the Land of Oz. After my first few days there I knew that, more even than Oz, it was a holy place. The high hills spoke of it. The river spoke of it. The “blue hole” where we swam spoke of it, as did Betty Ann Cody’s a cappella singing of “There Is a Balm in Gilead,” which left my face streaming with tears and which I will remember till the end of my days. I don’t believe I have ever known a place as full of human kindness and openness and grace as I have found in virtually everyone I met there. It is a joy to have Howard Hovde’s rich and loving account of how it came to be and of the men and women who helped create it, including himself and Carole. I doubt that I will ever get there again, but it will always remain part of the best of who I am.